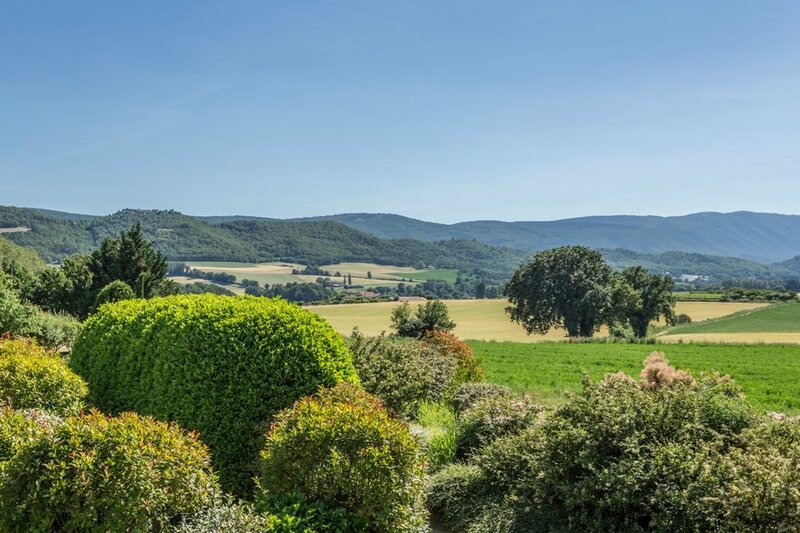 Set in several acres of its own landscaped grounds including a large swimming pool, Montjalade nestles in the tranquil foothills of the Grand Luberon, within the protected area of the Parc Régional du Lubéron. 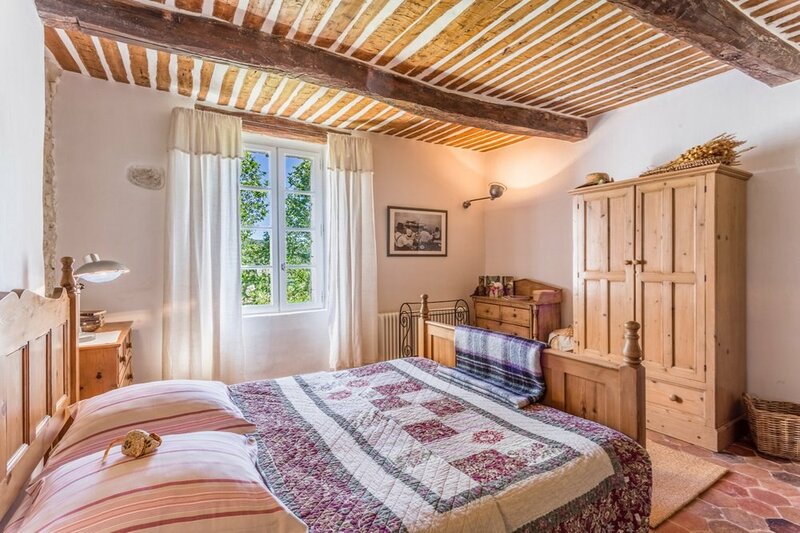 This carefully restored 19th century mas faces full south and enjoys panoramic views over the surrounding glorious countryside and perched medieval villages. Free from immediate neighbors, the property remains easily accessible to local market towns and all amenities. 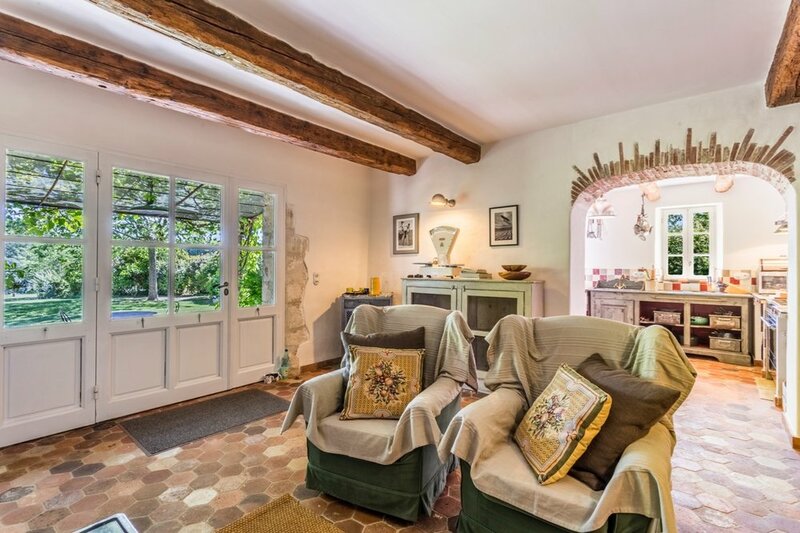 The restoration of this property by owner Joan Duck has been a labour of love with knowledge gleaned from more than twenty years’ experience in the Luberon renovating and renting other old properties. Montjalade has been restored to the highest standard in the traditional provençal style with ancient beams, terracotta floors, and exposed stone walls. The entire house is tastefully decorated and comfortably furnished with antiques and objets trouvés. The three bedrooms, all with ensuite bathrooms and supplied with quality bed linen, reflect the same attention to detail and high standards that you will find through the house, combining authenticity and charm with all modern comforts. 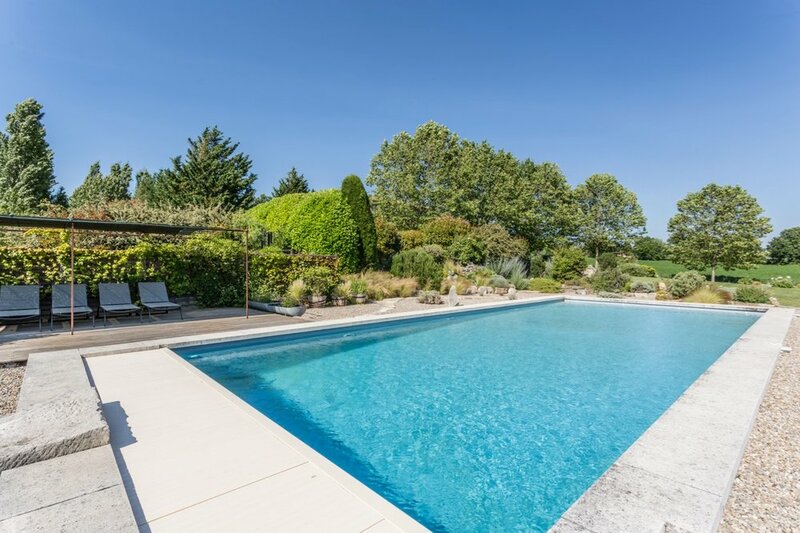 Shaded terraces, lawns, impeccable gardens, orchards, a boules court, creative landscaping and dry stone work, dramatic views, and a magnificent swimming pool make outdoor living as appealing as the lovely interiors of Montjalade. 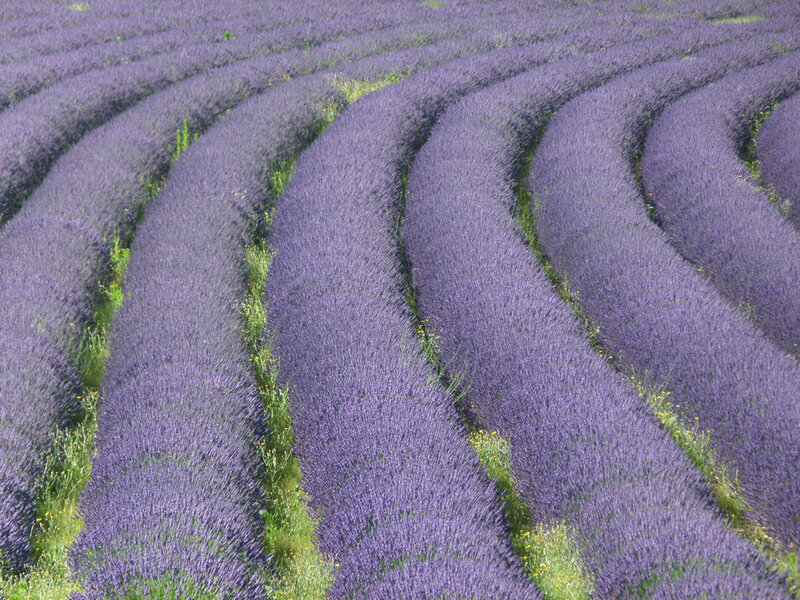 Montjalade is ideally situated for savouring the innumerable pleasures of Provence. Joan will assist you on planning your itinerary and visits in the area. 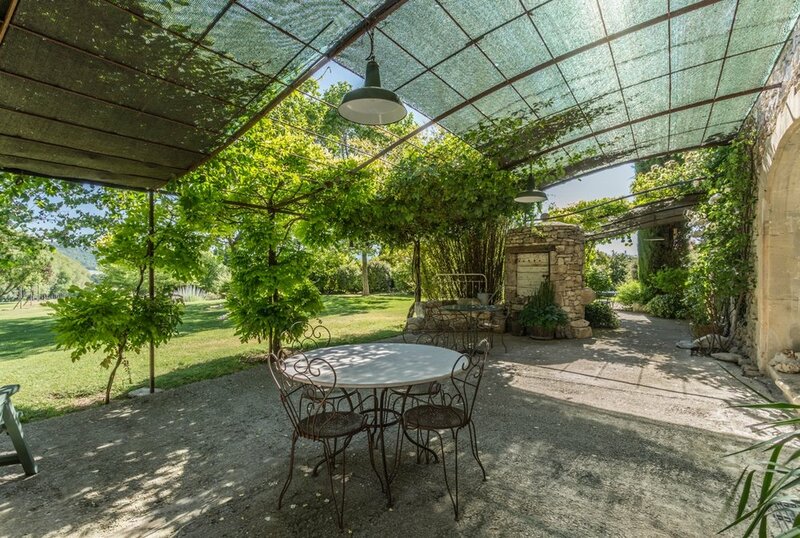 Guests will appreciate charming markets in the medieval villages of Reillanne (2 km) and Céreste (4 km), which also provide good shopping facilities including food shops, baker's, butcher's, wine caves, chemist's, post offices, bank, petrol station, large outdoor swimming pool, tennis courts and a sports complex. Montjalade is on the Luberon cycling trail and also makes a perfect base for golf, walking, horse-riding, rock-climbing or exploring the lovely countryside of the Luberon Regional Park, with its heady mixture of vines, lavender and cherry trees, punctuated by spectacular perched villages and dramatic limestone gorges. 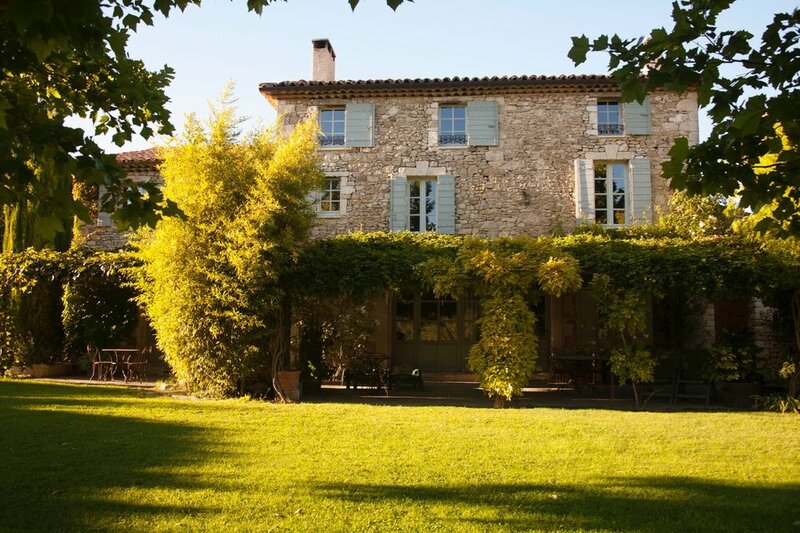 Nearby are excellent restaurants offering the special ambience and cuisine of rural Provence. The country markets in the surrounding towns are a must, especially the Saturday market in Apt and the Monday market in Forcalquier, which both fill the narrow streets with stalls offering a wide choice of local fruit and vegetables, truffles, pâtés, lavender and Provencal fabrics. On Sunday, the beautiful village of Isle-sur-la-Sorgue has the largest antique market outside Paris. 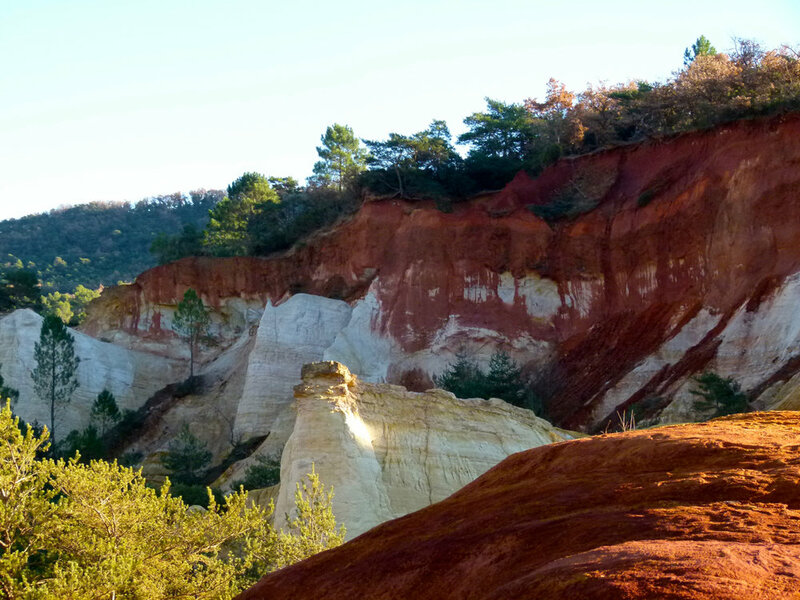 The vivid ochre cliffs of Roussillon and the tranquil Cistercian abbey of Sénanque are close by. Avignon, Aix-en-Provence, the spectacular Gorges du Verdon, Mont Ventoux and the Roman towns of Arles, Nîmes, Orange, Vaison-la-Romaine are all within an hour or two's drive, while Marseille, the Camargue and the Mediterranean coast are within easy reach.